I know I’ve been promising volkornbrot but I keep getting sidetracked by other projects. I have been giving out pieces of my starter to friends who have learned about my baking hobby and are interested in trying it out. I am more than happy to oblige! I feel like bread is one of those hobbies where you can always learn more about the processes and ingredients that go into it. The simplest breads of flour, water, salt, and yeast display feats of chemistry in the way the ingredients interact with each other and to heat. A few posts ago I learned the differences between rye flour and wheat flour. It makes sense that flours milled from two different plants exhibit different behaviors. 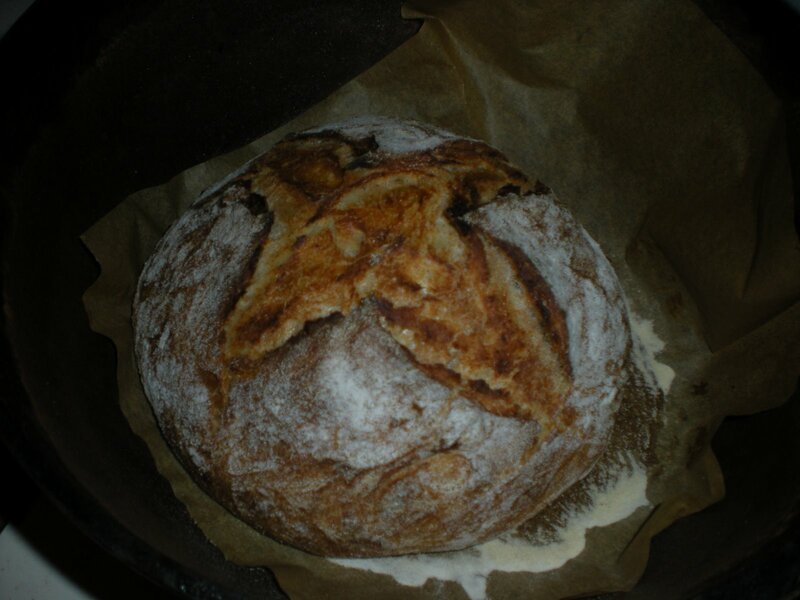 But I’ve been amazed at the differences between bread flour, all-purpose flour, and whole wheat flour. Yesterday I started Reinhart’s Transitional Sandwich bread, found on page 99 of Reinhart’s Whole Grain Bread. I started out not really liking his style and technique all that much; I didn’t understand the point of the soaker and biga process he uses. But as I’ve come to understand the needs of my ingredients, I see the role they play in the overall taste of the bread. 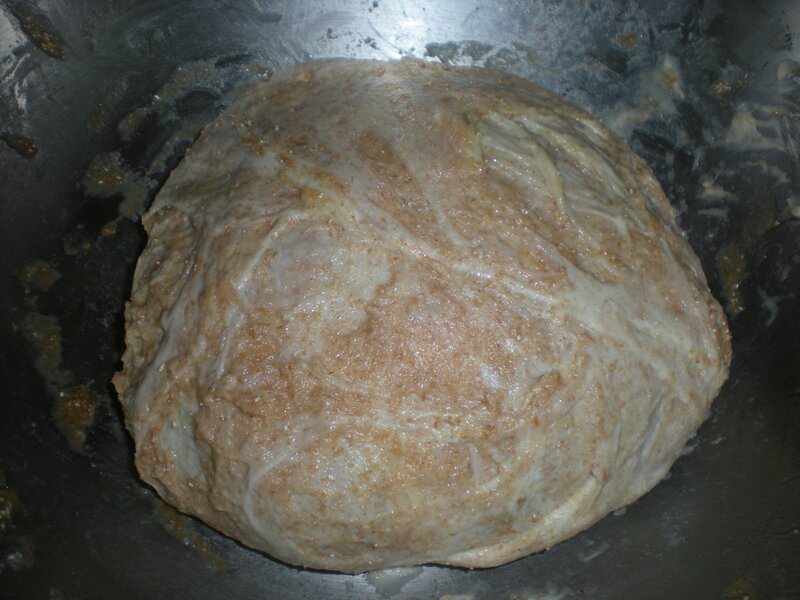 The biga is yeast, salt, flour, and water mixed together and set to rise overnight. 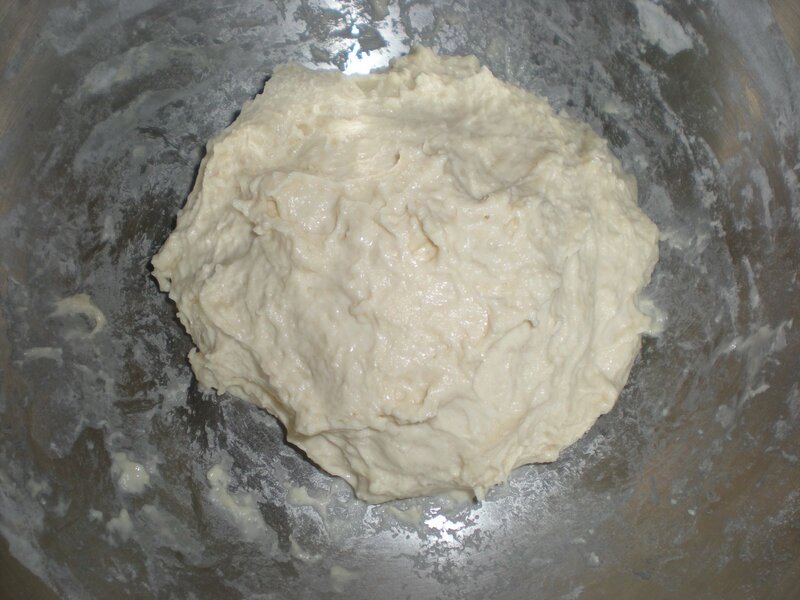 It only has a little bit of yeast and its main purpose is to develop flavor for the final dough, and wake up the yeast a little bit so it starts working. 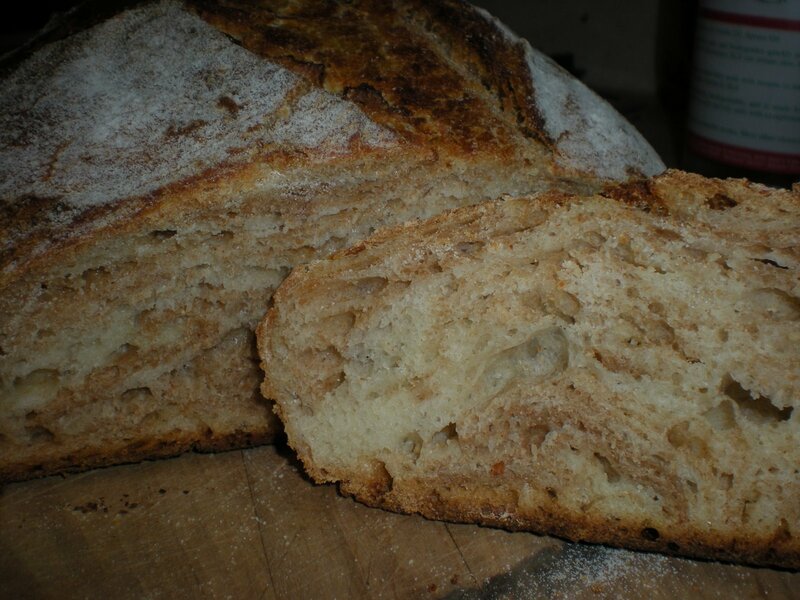 The transitional bread uses bread flour in the biga. 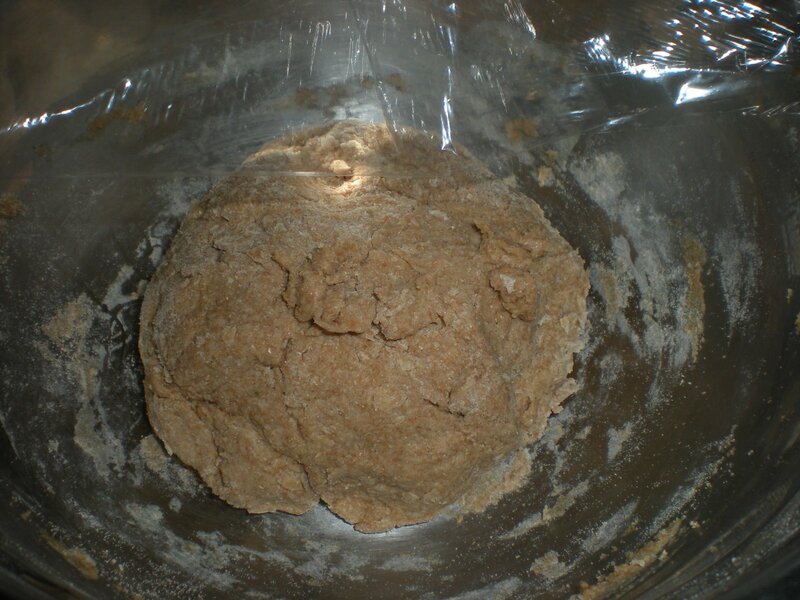 The soaker is used to soften the whole wheat and things like oats or wheat berries you might want to add. This is something I never knew before: flour does not like water! Especially whole wheat. So in order to make bread, you have to force it to absorb the water over time, and that is the purpose of the soaker. There is no yeast in the soaker because we are just focusing on water absorption. The soaker is whole wheat flour, salt, and in this case, milk. Flour likes milk even less than it likes water, because of all the milk solids in it. So you need to add more milk than you would water. 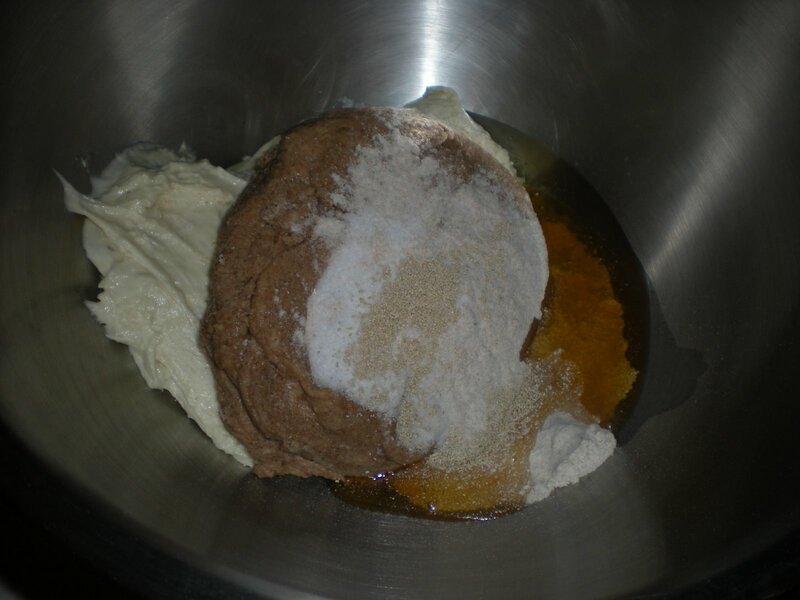 The next morning, combine the soaker and biga with a little more flour, yeast, honey, and oil. Let rise for an hour, then bake for 30 minutes with the dutch oven lid on, then 20 with it off. Hmm. I seem to have not done a very good job at mixing the two doughs together. Oh well. It’s still really good. Not much honey flavor though. Next time I might forgo most of the oil and increase the honey instead. Or instead of honey, use brown sugar. Will you provide the recipe for the wheat/white bread, please?